I love the New York Times! I can actually remember the first time I read the New York Times, it was 1983 and I was 12 years old. I had just finished the book “It’s not the end of the world” by Judy Blume and the side character Val talked about how she would read the New York Times the whole way through every Sunday. I walked across the street to the public library on a Saturday and sat at the table and flipped through the whole thing! I could not see myself ever reading it all the way through on a regular basis but it did intrigued me and I have loved it ever since. While I don’t read it all the way through, I love to flip from section to section reading whatever catches my eye. It is so easy to read now with the app. NYTimes has also come out with a Cooking app that is AMAZING. I use it first if I am looking for inspiration. I do read the Dining & Wine section in its entirety religiously though. There is so much to learn! I love to try and find new recipes, or new foods. I love to learn new kitchen skills. 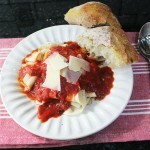 A few years ago in the NY Times an article and corresponding recipe for the “Classic Marinara Sauce” was posted. It seemed so simple. I couldn’t believe how few ingredients it called for or that it didn’t need to simmer all day. It went against everything I had ever done when I made homemade red sauce. The history of it was fascinating and so was the simplicity of the whole recipe. I knew what we would be having for dinner the next night! 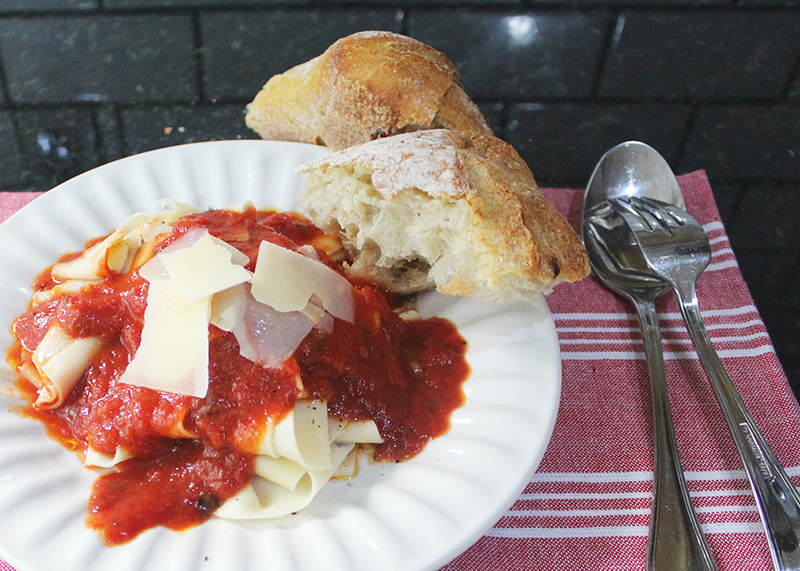 We had it the very next day for supper and it immediately became part of our weekly go to quick menu ideas. For you Lochlan it did not make you sick – most jarred pasta sauces never sit right with you and for you Bryson it was the perfect quick recipe for to make in your University apartment. 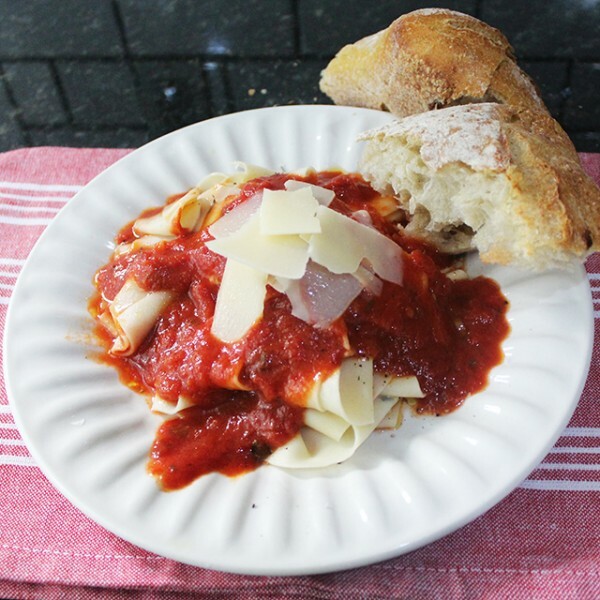 This is better and faster than going out for fast-food and can be used to make so many different dishes, from the simple sauce and pasta noodles, pizza, chicken parmesan to meatball subs. Try this sauce on homemade noodles! YUM!! 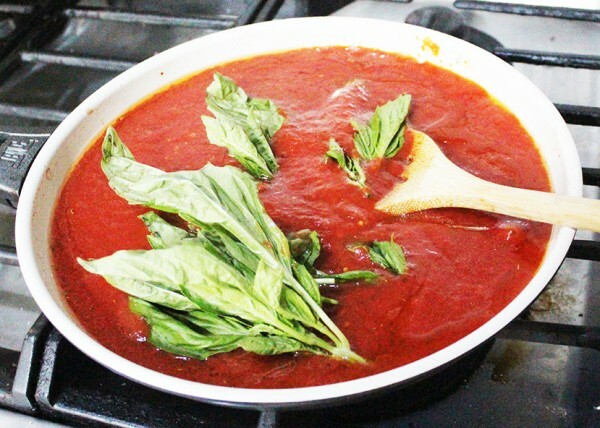 A fresh-tasting tomato sauce with sweet garlic and herbs. It is a simple and yummy sauce that can be used in so many ways. 8 cloves fresh garlic Sliced THIN. Do not mince or crush the garlic – the flavor becomes very strong if you do. 2-3 full stems fresh basil OR fresh oregano no need to chop, just rip it up a bit and toss in. 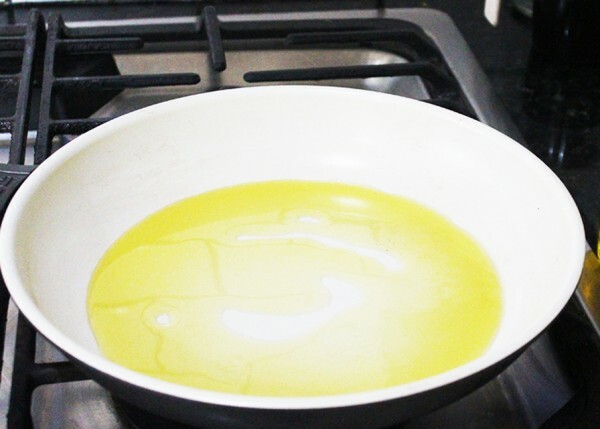 In a large flat bottomed, non-stick skillet, heat the oil. Add the garlic slices and stir the whole time. This will make the garlic have a nutty, sweet flavor. Very mild. Remove from heat if they are starting to brown too much. 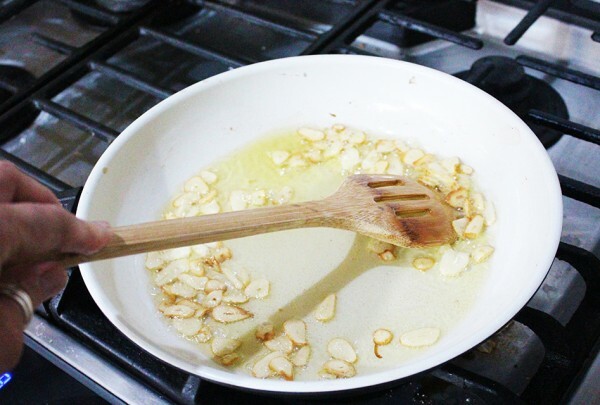 Garlic is very easy to burn and you will need to start over if you burn the garlic…. Horrible flavor! Pour in the tomatoes and the water. Over medium heat, keep it at a grumpy simmer for 5 min. Add the basil or the oregano, and the chili pepper flakes. Simmer at a grumpy simmer for another 15 minutes. Taste and adjust the seasoning if needed. NOTE: Some canned tomatoes are very acidic, if your sauce seems really acidic add a tsp of white sugar and simmer a couple more minutes. Try a different brand of crushed tomatoes next time! Now think outside the box! This sauce is magic - use on pasta, for pizza, on a sub, on grilled vegetables ... really anything. It is great as a dipping sauce for a good crusty bread! NOTE: Feel free to change the herbs up! Try the oregano for a really great pizza sauce, or try fresh thyme and a bit of lemon zest for an amazing sauce over chicken. 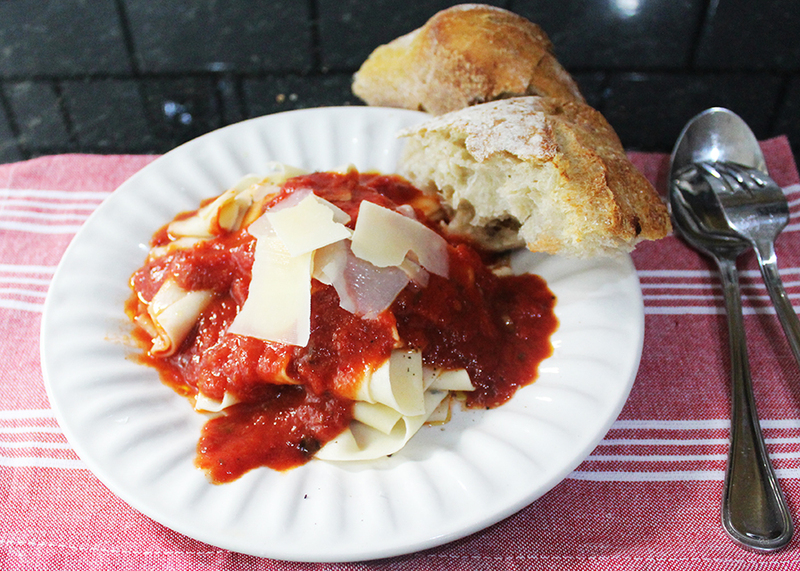 Marinara Sauce is one of my favorites and I never realized it could be so simple to prepare. 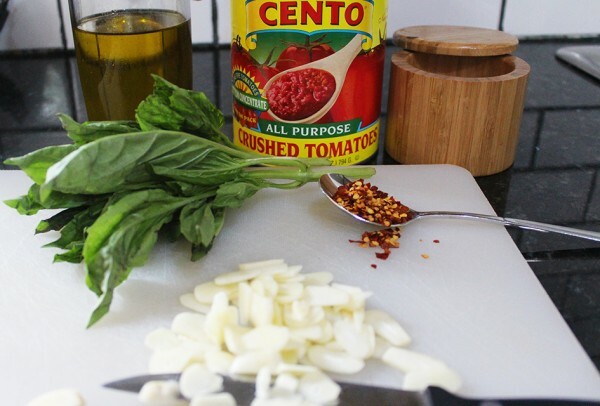 This looks like a perfect simple sauce for quick and easy meals.